This week at the Oslo REDD Exchange, Norway and the US committed to deeper collaboration over slowing climate change by protecting and restoring forests. The agreement calls for increased cooperation on forest carbon finance, and it explicitly supports efforts within the International Civil Aviation Organization to utilize a market system with incentives to reduce deforestation. 16 June 2016 | Norway and the United States this week agreed to “continue and enhance our existing cooperation on REDD+ and sustainable landscapes” by ramping up funding for carbon accounting in developing countries, supporting private-sector investment in forests, clamping down on the illegal timber trade, and promoting transparency in the forest sector. The agreement explicitly urges the International Civil Aviation Organization (ICAO)’s 2016 Assembly to adopt a Global Market Based Measure (MBM) to enable carbon neutral growth in international aviation from 2020 – a move that environmental NGOs (including Ecosystem Marketplace publisher Forest Trends) endorsed in a publication entitled “Linking Flight and Forests: The Essential Role of Forests in Supporting Global Aviation’s Response to Climate Change”. 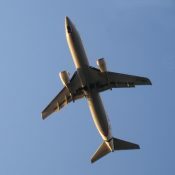 “Such a measure for aviation could catalyze incentives for reduced deforestation through demand for large-scale forest emissions reductions, provided activities meet ICAO’s emissions unit program criteria and reflect relevant developments in the United Nations Framework Convention on Climate Change,” the agreement says. US Secretary of State John Kerry and Norwegian Minister of Climate and Environment Vidar Helgesen signed the agreement at the Norwegian government’s Oslo REDD Exchange on Wednesday. If aviation were its own country, it would be among the top-ten emitters of carbon dioxide, according to the International Energy Agency, but international flights aren’t covered by the Paris Agreement. ICAO has promised to be carbon neutral from 2020 onwards, and countries are now developing the components of the MBM, including what types of activities should be eligible. The “Linking Flights and Forests” report recommends tapping forest-carbon finance as enshrined in the Paris Agreement to make it possible for airlines to offset their greenhouse-gas emissions by saving forests. Crackdown on Illegal Timber Trade? The joint statement Norway and the US released this week zeros in on illegal logging and trade, pledging to continue cooperation over transparency, support for enforcement capacity and for implementing provisions of the Lacey Act, the US law that bans the trade of illegal wildlife, including timber products. And new research from Forest Trends shows that the US, among other countries, has already begun to step up these enforcement efforts around illegal timber. “The US and Norway understand that strengthening efforts to fight illegal logging and trade are essential to reduce global deforestation,” said Kerstin Canby, the Director of the Forest Policy, Trade and Finance program at Forest Trends. On a related note, the two nations listed reducing tropical deforestation in private sector supply chains, which has linkages to illegal trade and commercial agriculture – namely the big four forest-risk commodities: soy, palm oil, cattle and timber. Previous Forest Trends research found 49% of tropical deforestation between 2000 and 2012 was due to illegal conversion for commercial agriculture. And nearly a quarter of that was the direct result of illegal agro-conversion for export markets. “We are especially pleased to see these leading governments express eagerness to help businesses remove deforestation from their supply chains, as the ‘big four’ agricultural commodities of palm oil, timber and pulp, soy, and cattle are responsible for the largest share of tropical deforestation each year,” said Michael Jenkins, the Founding President and CEO of Forest Trends. Overall, Canby said she is pleased by this announcement as it keeps forests at the front of climate action. “We applaud Norway and the U.S. for keeping forests front and center on the global climate agenda at a critical moment, reminding the world that the goals of the Paris Agreement cannot be achieved without conserving and sustainably managing our planet’s carbon-trapping forests,” she said.